Fits the executive profile in style and practicality. Mid-range knee tilt allows reclining at a relaxed angle. Waterfall seat reduces pressure on back of legs. Fabric covered foam padding provides seat and back comfort. Fits the executive profile in style and practicality. Mid-range knee tilt allows reclining at a relaxed angle. Waterfall seat reduces pressure on back of legs. 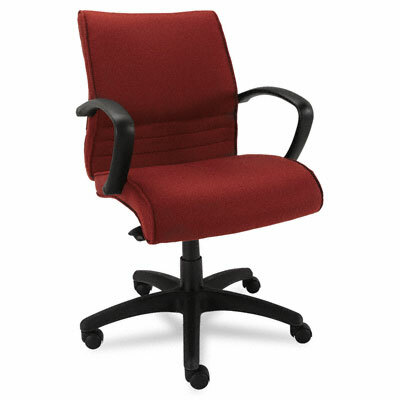 Fabric covered foam padding provides seat and back comfort.